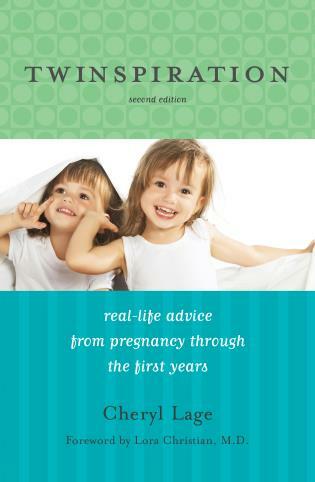 Professor Mommy is designed as a guide for women who want to combine the life of the mind with the joys of motherhood. 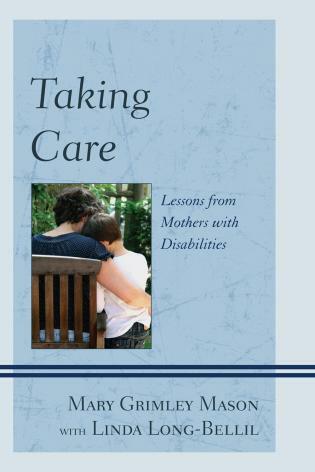 The book provides practical suggestions from the authors' experiences together with those of other women who have successfully combined parenting with professorships. Professor Mommy addresses key questions—when to have children and how many, what kinds of academic institutions are the most family friendly, how to negotiate around the myths that many people hold about academic life, etc.—for women throughout all stages of their academic careers, from graduate school through full professor. 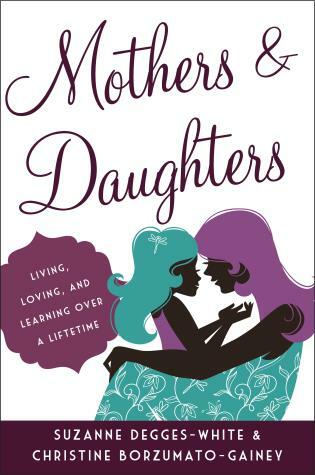 The authors follow the demands of motherhood all the way from the infant stages through the empty nest. At each stage, the authors offer invaluable advice and tested strategies from women who have successfully juggled the demands and rewards of an academic career and motherhood. Rachel Connelly is the Bion R. Cram Professor of Economics at Bowdoin College and the mother of four children. As an economist specializing in labor and economic demography, she has spent her career dedicated to the investigation of the intersections between work and family life. Kristen Ghodsee is the Director and John S. Osterweis Associate Professor of Gender and Women's Studies at Bowdoin College and was a single mother during the tenure process. She has received numerous honors for her work, including grants from Fulbright, and the National Science Foundation, as well as residential fellowships at Harvard University and the Princeton Institute for Advanced Study. In 2012, she was awarded a John Simon Guggenheim Fellowship for her work in anthropology and cultural studies. 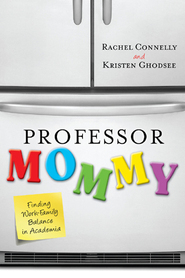 Bringing to light the juggling mothers toiling beneath the radar, often in the middle of the night, is precisely the goal of Rachel Connelly’s and Kristen Ghodsee’s enlightening, amusing, and truth-telling book, Professor Mommy: Finding Work-Family Balance in Academia. Their book is a hopeful treatise on the success of mothers working in universities....Part philosophical discourse, part advice, the book is divided into nine conversational chapters—easy for the working mother to peruse between meetings or read straight through in one sitting....The book is well worth the time, not only for working mothers, but also for any scholar considering a life in academia. A smart, readable description of the hurdles facing women who have children while in graduate school or on the tenure track. And while the book does not minimize the difficulties of being both mommy and professor, it is directed at women who want to "opt in"....This is an excellent book; the chapter “On Deciding to Become an Academic” is a must-read for students considering graduate school, as is their chapter on debunking the popular myths of mothering in academia (“myth #1: an academic job will allow you to spend more time with your kids”). They are frank about the trade-offs of being a successful academic – you won’t have a clean house, and you might not see your child’s first step – but these are the same struggles of a high achieving mom in any profession. Perhaps that is the point: academia is not a haven from sexism, workaholism, or politics. But if you want to do it anyway (and want to have more than one child! ), this book offers clear advice to achieving success. Bowdoin faculty members Connelly and Ghodsee are mothers who've struggled with the challenges of research, teaching, publishing, and caring for children in defiance of the conventional wisdom that women in academia have to choose between family and career. They devote an entire chapter to debunking the myths that discourage many women from pursuing tenure during their most fertile reproductive years. Drawing on their experiences and on surveys of and interviews with a variety of women in academia, they first review the decision to have an academic career and the decision to have children, including how many and when to have them. They proceed with a detailed chronology of the tenure track, a comprehensive guide, and unwavering encouragement. They are frank about sacrifices and challenges encountered during graduate study and the PhD dissertation, and they detail the hurdles presented by low salaries, undesirable work locations, and long working hours. But they also note the rewards of both academic life and motherhood. Women interested in careers in academia should appreciate this helpful, encouraging resource. Two Bowdoin College professors address the challenges of pursuing an academic career while raising children, offering counsel and advice to women seeking to combine 'the life of the mind with the joys of motherhood.' Connelly, the mother of four sons, is an economist whose international research addresses intersections between work and family life; Ghodsee is an expert in gender and women's studies who received Fulbright and National Science Foundation grants. 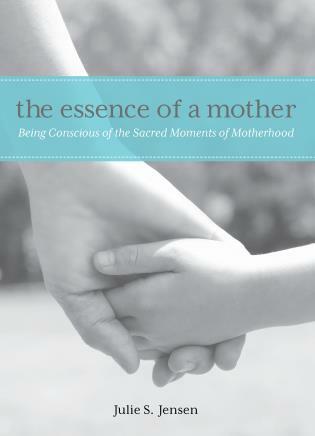 Their individual experiences inform the book, which provides not only a step-by-step program from graduate studies to tenure but also a 'what to expect when you're expecting' and mothering while chiseling out a profile inside ivied halls. Connelly and Ghodsee tell tough truths—academics is a hard and demanding career for anyone, and most difficult for women with children—but they recommend outsourcing whatever does not contribute directly to your job; availing yourself of good full- or part-time child care; finding an institution with fair work-family policies; attending conferences, networking, and coauthoring publications; saying 'no' to nonessential work; relocating as opportunities arise; and staying hyper vigilant about time management. A well-presented guidebook for academics. With this new how-to guide for mothers in academia, Rachel Connelly and Kristen Ghodsee invite women academics to muster their courage and proceed despite the potential pitfalls. Their unblinking analysis of the risks and rewards of combining academic life with motherhood is a welcome and unique addition to the literature on the topic. Two tenured Bowdoin College professors, economist Rachel Connelly and gender and women's studies scholar Kristen Ghodsee, have thrown out a rope to women scholars in hopes of helping them get a foothold in the slippery slopes of academia without having to forgo motherhood. The pair has just written book enlivened by anecdotes and statistics that offers step-by-step guidance for women at all stages of their families and careers to help them successfully negotiate the 'maternal wall' in academia. Professor Mommy: Finding Work-Family Balance in Academia (Rowman Littlefield 2011) describes in thorny detail the personal costs that many women in academia face, yet offers savvy, encouraging strategies for juggling the demands of an academic career and motherhood. Don't believe the myths—you can conquer the academy while raising children. It isn't easy, but few worthwhile things in life are. Connelly and Ghodsee show, step by step, how smart women win at work and win at home by protecting their time and focusing on what matters most (hint: it's not grading papers or ironing shirts!). Do read this 'can do' book for mothers who want to pursue an academic career! Yes, you can succeed and this book guides you through every step and pitfall—from choosing the type of institution that is for you to coming up for full professor. It doesn't shy away from the very real obstacles, like exhaustion during the early child-raising years, but offers alternative strategies for climbing the ladder. 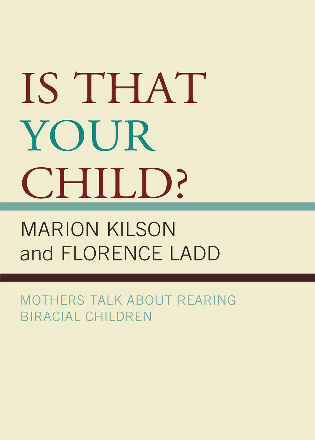 The sound advice is aimed at mothers—but it could be the handbook for any Ph.D. who is deciding on an academic career. I will recommend it to all my graduate students. Rachel Connelly and Kristen Ghodsee have written a book that is not just a must-read for anyone contemplating the intricate and as-yet imperfect balance of academic life and family life, but for anyone at all interested in promoting equity in the workplace and more importantly, in the world of ideas. Professor Mommy lays out in stark detail the dismal record and very real statistics of the “maternal wall,” “glass ceiling” and the steep personal costs that women academics often face. But rather than stop there, they offer detailed, practical and user-friendly guidance on how to set your own priorities, draw boundaries and forge a path through this thorny obstacle course. They show it is not easy, but it is indeed possible to be both a successful academic and a loving parent with a rich family life. More, Professor Mommy is a call to action: that lasting change and that longed-for balance will come only when men become aware of the stacked deck against women and when women academics make the hard decision not to opt out, but to opt in, writing, publishing, thinking, promoting their ideas, and by their very presence, change the calcified system from within. Professor Mommy addresses many concerns of professional women in academia who desire to combine their professions with motherhood....the book is a useful resource for career and employment counselors who see clients with similar issues. This book provides a plethora of information and tactics that are helpful when counseling women interested in pursuing a career in academia while also incorporating a busy home life....an overall outstanding read....Although the purpose of Professor Mommy is to serve as a guide to young women who would like to combine life as an academic with the joys of motherhood, the book is extremely beneficial to counselors who assist women addressing issues of balancing career and family in other occupational areas as well. In Professor Mommy, Rachel Connelly and Kristen Ghodsee present a thorough set of questions for women to consider and strategies to utilize in order to make informed decisions about pursuing both an academic career and family life. ... Professor Mommy is a practical guide written for women who are considering or currently combining family life and the pursuit of tenure. 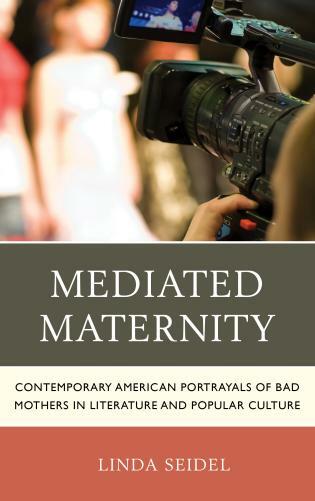 The authors recognize that tenure-track fathers have challenges when they are involved parents of small children, but Connelly and Ghodsee intentionally speak to the particular concerns and situations that mothers face. ... Professor Mommy has many helpful insider tips for any junior faculty member or graduate student who has not had these conversations with a trusted (mommy) mentor. ...[F]or those of us who desire to seek tenure within the existing system, having access to the information in Professor Mommy is invaluable. The book does what it sets out to do, providing information and options for women to make decisions that will position them as best as possible for tenure and promotion within the existing system. Recognizing that the assimilationist approach will not work for every woman, it provides guidance for the many. Professor Mommy is a well-researched, yet anecdotal account of parenting across disciplines relevant to all family forms in academia. 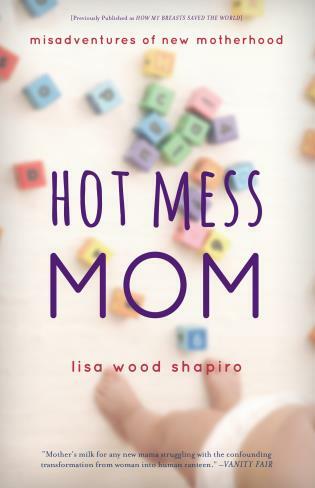 It’s one-of-a-kind, doesn't present 'defeatist' statements of sacrifice, but provides real strategies and support for anyone in their child-bearing years attempting to navigate this challenging yet rewarding period in life. Written in clear, jargon-free prose, the book is accessible to women in all disciplines, with concise chapters for the time-constrained academic. The book's conversational tone is supplemented with a review of the most current scholarship on work/family balance and a survey of emerging family-friendly practices at U.S. colleges and universities. 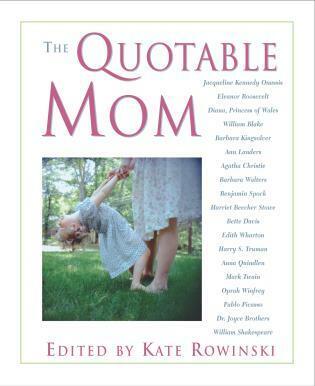 Professor Mommy asserts that the faculty mother has become and will remain a permanent fixture on the landscape of the American academy.The paperback edition features a new Preface that addresses the public conversation about mothers and work raised in Sheryl Sandberg’s Lean In and Ann Marie Slaughter’s Why Women Still Can’t Have it All. The new Preface also answers frequently asked questions from readers.